Buzzy Trent "2008 Surf Pioneer"
Nothing was too big for Buzzy Trent. In fact, when he gave up surfing at the age of 47, he took up hang gliding to keep the endorphins pumping. One of the early California transplants to Hawaiian waters, Trent was a true all around athlete. He was an all-state fullback in high school, a lightning-fast sprinter, as well as an iron-jawed boxer. Needless to say, his masculine frame was also suited for some of the heaviest waves in the world. 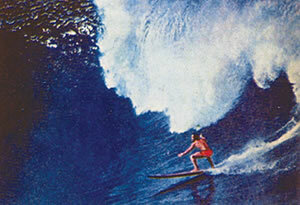 After moving to Hawaii in 1953, Trent steadily pushed the envelope in big surf, preferring 20-foot plus days at Makaha. He is noted as being the first to describe a big-wave surfboard as a “gun” and coined the commonly repeated phrase “big waves aren’t measured in feet, but in increments of fear.” His reputation for meaty waves eventually landed him the unofficial title of the godfather of big-wave surfing. 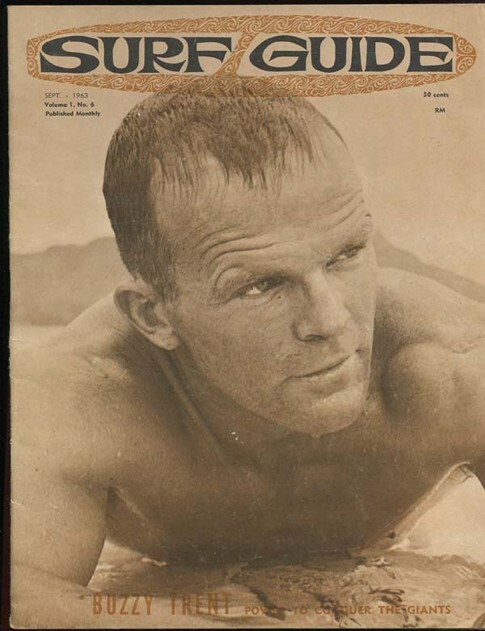 Trent was born in 1929 in San Diego, raised in Santa Monica and began surfing at the age of 12 at Malibu. Sadly, Trent passed away in 2006 at the age of 77. His survived by his two children, Ivan and Anna, and eight grandchildren. "I had the opportunity to surf with him once when I was 15," said Trent's son Ivan. "It was a unique experience. He was very quiet and reserved in the water." 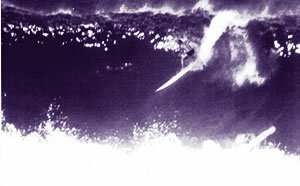 If there was a big day on Hawaii's North Shore, Buzzy charged it with bravado.